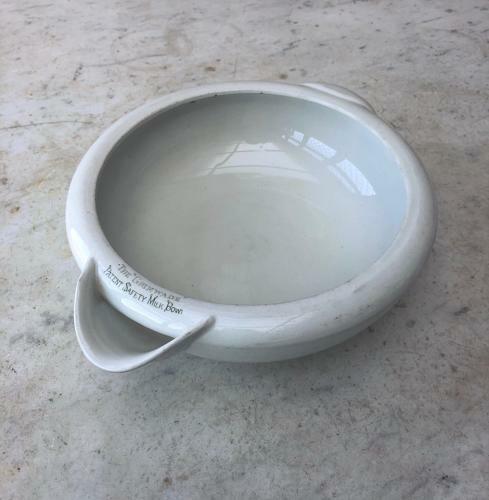 Antique "THE GRIMWADE" SAFETY MILK BOWL. Lovely condition with no damage....writing on the lip and when you turn it over Grimwades advertising to the base. Love how this bowl "stops flies walking into the milk"!